If that quote wasn't the truth. You see I am what you would call a very dark dreamer. I remember my dreams for a while after I wake and I write them down till I start to forget. 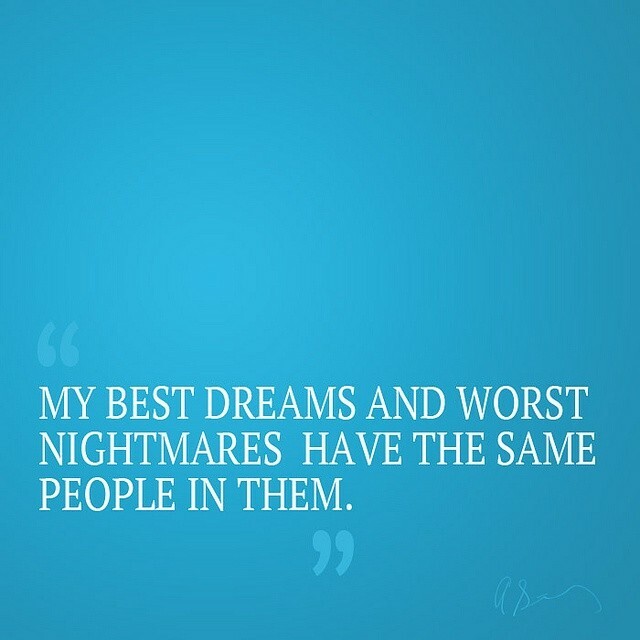 Which seriously some of the best stories come from what you dreamt in the past. But lately, my dreams have been even darker than usual. As most know I am a writer and I normally lean towards ghost and monsters in my writing. Even my own personal drawings in the book's lean toward the darker mythical side. But seriously I think my dreams have been in overdrive lately. I decided to read up on what dreams are supposed to mean and according to quite a few articles, it's my fears for the future playing out in my dreams... Only if my dreams knew the half of it. That's where I have a problem. Why? Because the other night I was watching a video game playthrough with my daughter and later that night I dreamt I was fighting off the characters of said game with dual handed swords while searching for something that even though I could not remember once I woke up in my dream it had a purpose. I hate animatronics they sit on the same level as clowns or mannequins. I worked retail for eleven plus years and I hated being around mannequins alone. As a joke, I used to have an old coworker leave mannequins in my old stockroom/ office to scare me. Let me tell you at seven in the morning when you had only had your first sip of coffee they heard me scream all the way across the store. Also, I hated being around angel statues as well! Thanks, Dr. WHO. But back to the dreams. I will admit I worry about the future. I mean I have a husband that is doing everything in his power to take a future from my kids and I. I mean he is putting our home in foreclosure to spite me. I am pretty much selling a ton of my home stuff on the crazy store to get a car so I have reliable transportation so not only I can get to and from a job but get my kids to where they need to be. I worry a ton but I also have faith that I can make things work out. 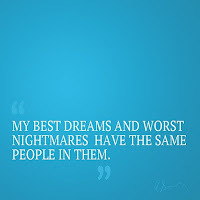 But as of late, these dreams are seriously bothering me. I mean these dreams go from sugar and sweet to full-fledged battles to where I come out covered in blood or wake up before I take a fatal hit. The worst thing is that I will have bruise marks on me when I wake up. Which is not odd for me because as everyone knows I am also a huge clutz. Don't believe me, I stopped in a store to get a money order came out trip over my own two feet and fractured my ankle. I am a clutz. So does anyone else dream so vividly that it breaks the normal bounds of what a dream is supposed to be? Or am I just a complete freak? Has anyone else ever had this issue or have any insight on this?